Savvy Spending: Free Redbox Rental code, today only! Free Redbox Rental code, today only! 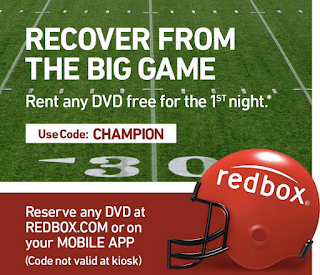 Today only, you can get a FREE Redbox rental with promo code CHAMPION at Redbox.com or in the mobile app. Visit the Redbox Instagram page for more information.